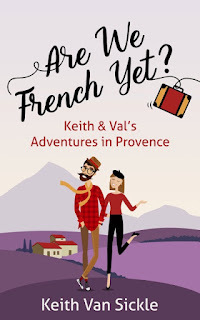 Welcome to ‘France et Moi’ where this week I am talking to author Keith Van Sickle about what France means to him. 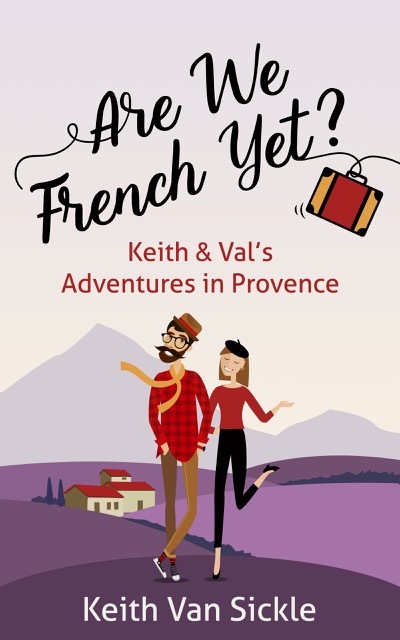 Ten years ago, Keith and his wife Val turned their lives upside down when they quit their American jobs to live part-time in Provence. Without speaking French. They had previously been expats in Switzerland and had tried but failed to find another expat assignment. So they decided to invent their own, becoming consultants to have the flexibility to travel more. Now they split their time between California and Provence, enjoying what each has to offer. Firstly, I think France is a special place and it is famed for many things including its cheese, wine and diverse holiday locations plus, dare I say it, strikes and dog poo littered streets. What do you think makes France so very unique and ‘French’? Keith: Because my wife and I live in both Provence and California’s “Silicon Valley,” we really notice the difference between the two places. Silicon Valley is very go go go while Provence moves at the pace of the seasons rather than the speed of the Internet. This allows us to slow down and spend hours around the dinner table or over a glass of wine when we are in France. And that’s what is especially “French” to me—the emphasis on the pleasure of small things. Keith: We’ve made a circle of wonderful French friends in Provence and we spend a lot of time together. We don’t do anything extraordinary—a picnic, a bike ride, a visit to a winery—but we have a lot of fun. We often talk about the differences between our two countries, which is always fascinating. It’s really broadened my view of the world, helping me see things through French eyes. I guess you could say those are my fondest memories, spending time with our French friends. 3) You and your wife regularly spend three months a year immersing yourselves into life in France, what is the best thing about this, and the scariest thing? Keith: Spending time with our French friends is by far the best thing about my French life. As for the scariest thing…probably the scariest thing in any foreign country, France or otherwise, is if you need medical care. Can you communicate properly? Will you get good care? Will it be expensive? Unfortunately, I’ve had to see doctors in France not once but twice and happily both times everything turned out fine. In one case, the doctor was very formal and rather aggressive, bombarding me with questions that I struggled to answer in French. Eventually he softened up and started chatting with me about California. When we got to the subject of wine (he was French, after all) he found out that I love wine, too, and the next thing I knew we were invited to a private tasting at his friend’s famous winery! That was a memorable day, indeed. 4) Do you have any top tips for learning French? Keith: Yes—language partners! The best way to improve in any language is to engage in conversation. But who wants to chat with someone like you who is just learning the language? The answer is: someone in the same position, a French person who is learning English. You meet and talk, with you stumbling along in French for a while and then switching so the other person can stumble along in English. You are both patient with the other because you are each going through the same thing. Language partners, both in France and via Skype, have really helped my learning and as a bonus I’ve become friends with many of them. 5) Do you have any embarrassing language mishaps you are happy to share? Keith: More than I can count! Here’s a funny one: we once invited a couple and their two young daughters to dinner at our house. When I brought out the cheese course, one of the fromages was a goat cheese covered in edible ash. The father of the family asked me what it was and I knew how to say “goat cheese” but not “ash.” So I faked it by using the English word with a French accent, which often works. But not this time. “C’est chevre avec ash,” I replied, which drew shocked looks from the little girls and bemused smiles from their parents. Uh, oh. I learned that “ash” means “hashish.” Oops! 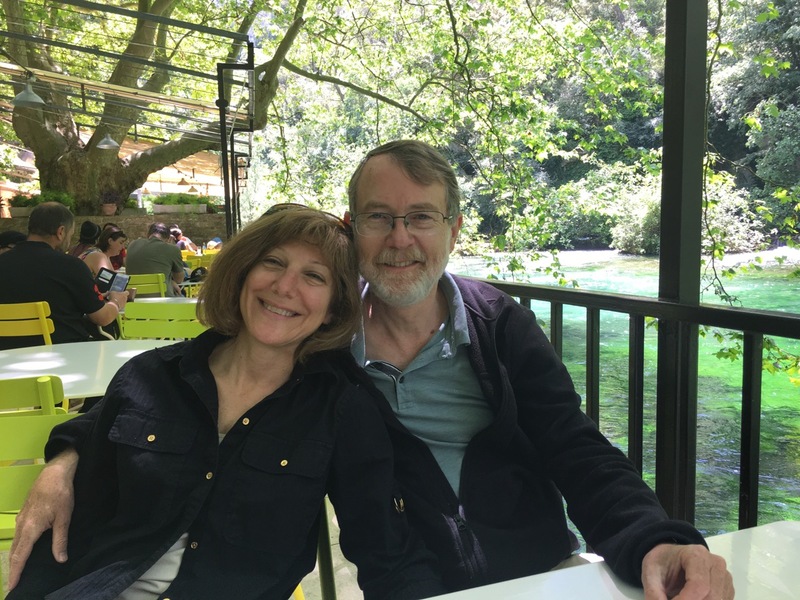 Keith: I love so many things about eating and drinking in France— the fruits and vegetables, the meats and cheeses, the breads and pastries, the glorious wine, and so much more! And then there’s the coffee, which is terrible. I like a good espresso, Italian style, and the French version is too weak and acidic. So I’ll order a café serré (serré means “tight” or “use less water” and it makes it a bit stronger). That’s for 10:00am. If this were the afternoon I’d order a glass of wine or maybe a pastis, which is very popular in Provence. 7) Every region in France has its own culinary specialty, do you have a favourite regional dish? 8) France has many different cheeses, but which French cheese are you? A hard and mature Tome, a soft, fresh and lively goat cheese, the creamy and rich Camembert or maybe the salty and serious Roquefort? Keith: I asked my wife what cheese she thought represented me and she said, “A well-aged one!” Um, thanks dear. I’ll say Saint-Marcellin, my favorite cheese from the Dauphiné region just north of Provence. It’s rather plain on the outside but delicious and complex on the inside. And yes, it benefits from a bit of age. 9) With plenty of space and lovely scenery France is a great place to explore. If you were to pack a picnic and take a day off where would you go? Keith: My favorite picnic spot is the Cedar Forest above Bonnieux. To be above Bonnieux is quite a statement because it’s a high hilltop village that looks down on the Luberon Valley. 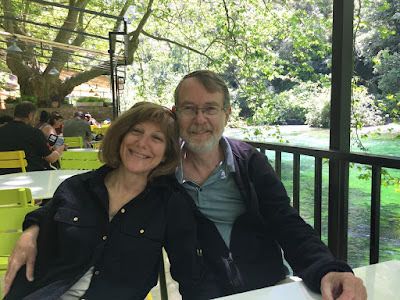 But the Cedar Forest is higher still, and we picnic in a shady spot that looks out over the entire valley floor, a patchwork of small farms in different colors—bright green vineyards, darker green olive groves, brilliant yellow patches of rapeseed, and purple lavender fields. It’s marvellous. 10) Best French tipple, and yes, I know there are many to choose from? Also, do you prefer French or New World wine? Keith: The French say that American wines “jump out of the glass,” with lots of fruit and oak, reflecting the exuberance of the country. I prefer my wines more restrained and balanced and so I’ll go with French wines. As for my favorite, a good Châteauneuf-du-Pape is usually out of my budget so it is a real treat when I have a bottle. I will be reviewing Keith’s latest memoir Are We French Yet on the blog next Wednesday and you can read my review of his first book, One Sip At A Time, here. You can read more from Keith on his website and find him on the following social media sites.